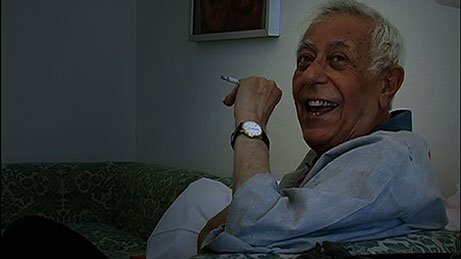 Mitra Farahani’s lyrical documentary explores the enigma of provocative artist Bahman Mohassess, the so-called “Persian Picasso,” whose acclaimed paintings and sculptures dominated pre-revolutionary Iran. Irreverent and uncompromising, a gay man in a hostile world, Mohassess had a conflicted relationship with his homeland—revered by elites in the art scene and praised as a national icon, only to be censored later by an oppressive regime. Known for his iconoclastic art as well as his scathing declarations, Mohasses abandoned the country over 30 years ago for a simple, secluded life in Italy. While the new Iranian government destroyed many of his works, Mohassess himself obliterated even more– in rage at man’s inhumanity to man, environmental destruction, and the futility of idealism. Ranging from tender to playful to haunting to grotesque, these unforgettable pieces were as mercurial as the man himself, a chain-smoking recluse with the mouth of a sailor and the soul of a poet, touched by a mischievous spark and as likely to lapse into a political rant as a burst of eccentric laughter. 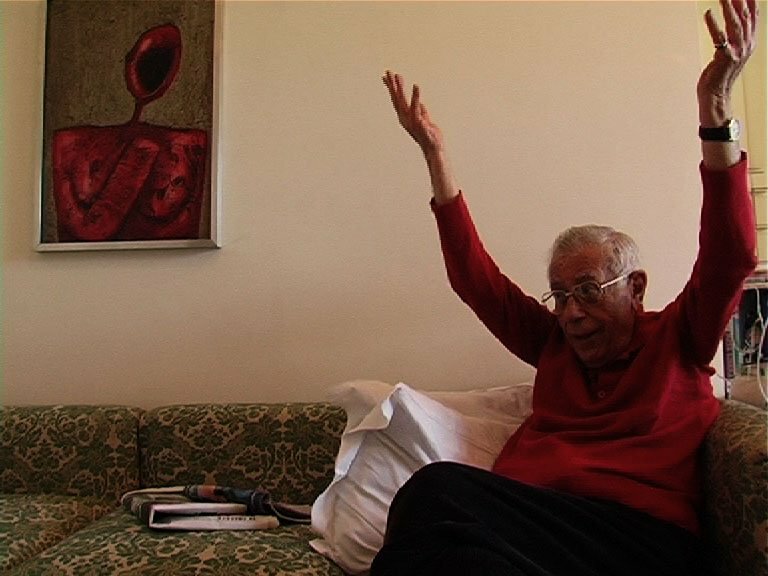 Determined to interview Mohassess, fine artist/filmmaker Farahani discovers him living alone in a hotel room in Rome and begins to craft the perfect final biography, in his own words and on his terms. Along the way, the inimitable spirit of the man behind the image is laid bare—both painfully sensitive and crudely comical, “condemned to paint,” but unable to compel himself to leave anything behind as a legacy. 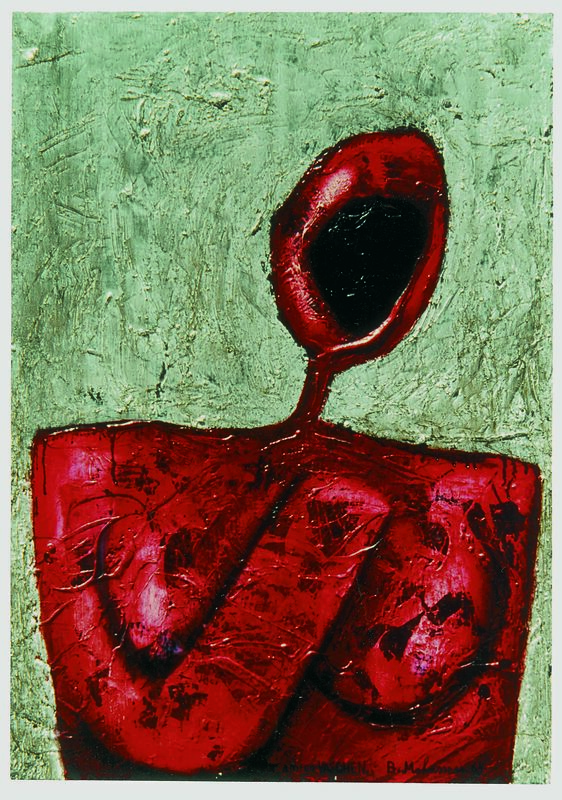 When a pair of artist brothers and ardent fans of Mohassess commission him for an ambitious project, the elderly man is inspired with a renewed sense of purpose and returns to painting after decades of dormancy. A lasting tribute to an elusive artistic genius, Fifi Howls from Happiness affirms the power of creative freedom, the right of the artist to create and to destroy, and above all, to have no regrets. Critics Pick “Addictively fascinating...The lovely meeting of artistic sensibilities makes this doc sing." "Thoughtful, moving...A portrait of the artist as a refusenik, a recluse, a survivor and a stubborn question mark, “Fifi Howls From Happiness” registers, by turns, as a celebration, an excavation and an increasingly urgent rescue mission." 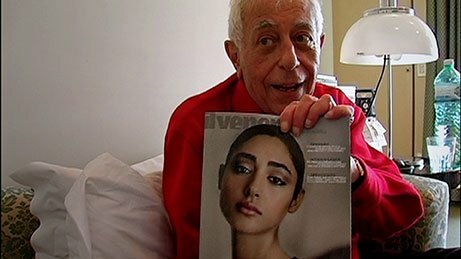 "The most startlingly unexpected Iranian triumph at Telluride was Mitra Farahani's Fifi Howls from Happiness, an unconventional documentary about forgotten Iranian artist Bahman Mohassess. Mohassess, who died in 2010, was a fantastic character, a viciously witty gay guy who cut a stylish swath through Europe and makes wicked fun of his dim-bulb oppressors. 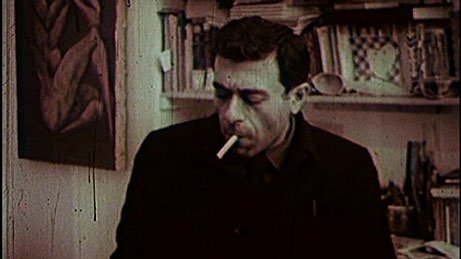 In the film, Farahani, gorgeous and stylishly feminine, spars skillfully with the artist, deftly penetrating his defenses through sheer intelligence and knowledge of his work, like Truffaut interviewing Hitchcock." “A joyous celebration of freedom to create, to destroy, to live without regret."